To be honest I was unsure about reviewing this, not because I didn’t like it – in fact I love it – but because I know very little about hip-hop and rap. However the more I listened to the album the more I came to love it, the more I found myself being drawn in, the more the words of the tracks started to hit home. And I decided, yes I can review this. I’m reviewing it not as a hip-hop and rap album – which I’m fairly sure would need some knowledge I don’t have – but as music, music that is compulsive, compelling, emotional and organic. It helps, at least it helped me, that the music is diverse, and reminds me of the hip-hop I really liked back in the day. This may or may not be something that is part of the hip-hop scene right now but it was that that started to draw me in, OK. A lot of the music is kinda jazz-funky or jazzy but Fold throw in some stuff that is completely out-there, that’s a beautiful thing. Fold say the album is about empowerment, unity and equality, and deals with some urgent issues – such as knife crime – and the troubling times we live in, and that makes the individual tracks compelling lyrically. And actually I wish I’d had the words to read. The album’s opening track ‘Can’t Resist A Platform’ uses what I assume is a historical voice – this is a feature of the album, there’s more about this in the The info section of this review – and perhaps sets out what this album is doing, what the motivation for the way the issues are tackled is. It’s setting you up for the rest of it. The first track proper, and album title track, ‘We’re The Ones’ features London-based MC and spoken word activist Potent Whisper. The music is slow and jazzy, the horns on this thing are killer. It appears to be about, and I may be totally wrong, the power of the group, the idea that together people can change things. ‘Living On A Knife’s Edge’ – featuring UK poet and radio presenter Mr Gee – addresses the issue of knife crime but it does this from the point of view of an older person who carried a knife when they were younger who is talking to the youth of today involved in that. Musically this is fantastic but it’s the words that are up-front and centre. These words are incredibly compelling, they are thoughtful and offer a perceptive analysis – of the jealousy and peer pressure that drives some of it, of the different and harder and heavier drugs that drive some of it. It links this to the wider ‘must have what other people have’ nature of our society. ‘Stand Up’ – featuring Leeds poet Natalie Davies – urges us all to stand up and be counted, and to fight for change. She does this over something that is both jazzy and all kinda psychy. This track has backing vocals to die for people. ‘Something Gives’ uses another historical voice. The horns on this are amazing, I’m going to assume that the standout horn is the sound of sax player Emma Johnson but again I may be wrong. ‘Bad Thing’ – featuring Komla MC – is perhaps the first track that I perceived to be more of what I recognised as hip-hop but this isn’t in any way straight. Komla MC vocals are more of a toasting thing, there are horns a-plenty, it has these rather wonderful ragged massed vocals, and throws in some frankly unexpected sounds. ‘Stronger Than The Evils’ – featuring MotorMouF – is another of those ‘together we are strong’ tracks. The refrain ‘the power of the people is stronger than the evils’ bores it’s way into your head. After these two tracks ‘The Storm’ hits us with sounds including a harp of all things, it uses a historical voice. It is a rather menacing thing. How you interpret this is up to you. Every time I listen it I change my mind – one time I listened I took it as a warning about climate change and then the next that given what is happening in our world right now that there will be revolution and uprising. ‘Teacher’ again uses an historical voice to convey a message that urges us to find our own identity, and to question. ‘Choose Love’ is a bizarre, most beautiful thing. Musically it uses something that sounds of all things like some sort of mutant Incredible String Band song at least at first, and then again at various points. It sounds like some sort of jam, the kind of jam I used to used to hear at free festivals, but with the smoothest glorious soul guitar. It is strange, emotional and wonderful. 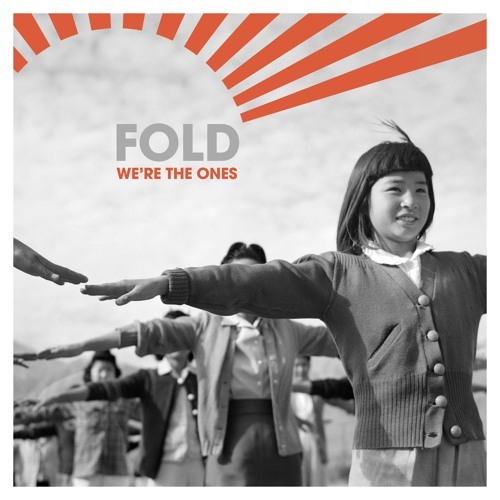 The album closes with ‘All Waken Finally To Being Human’, actually, and I’m sure Fold didn’t have this in mind when they made it, it had me thinking of Gong musically. Gong in one of those slow jazzy jam type tracks. The thing about this album is that for most of it it doesn’t sound like what I expect hip-hop albums to sound. This may be down to the fact that I’ve just not kept up or it’s just what Fold do; or even, as it likely, both. The music is startlingly good and incredibly diverse. The use of historical voices is clever and considered – quite how much research it took to find voices from the past that ring so true today I can only just begin to imagine. And the tracks that feature words written by guest artists are frankly brilliant. In an attempt to find some way to sum this up in a way that is helpful, I had to ask my friends. The overwhelming respond was that it was wonderful, that wasn’t entirely useful as I’d already decided that but one said, and I think this useful, that it’s hip-hop for people who didn’t know that they’d realise that there was hip-hop out there they could love. For people who didn’t know they could like something labelled as hip-hop, just immerse yourself in the music first, and the words after that, and really listen because they good. For people who are already hip-hop fans this is a no-brainer. It’s musically clever and compelling, the tracks are intelligent and thoughtful. It’s an album you can sit and listen to really really closely and it’s rewarding, incredibly rewarding. This record is about empowerment, unity and equality. It is also an honest reflection of our troubled times. Fold have bound together a diverse group of voices and perspectives across time and space dealing with urgent subjects. These voices come in the form of MCs, poets, historical speakers and singers. Musically they’ve let all of their influences freely commingle, ranging from jazz-funk through Brazilian psyche, hip hop and downtempo. As the name Fold hints at, the group operate as a collective drawing in musicians not only from their hometown of Leeds but from across the nation. The core line-up consists of four members: Sam (guitar), Kane (drums), Ben (bass) and Seth (benevolent dictator); yet the real story of this record is its nebula of contributors. The title track is the first collaboration with London-based MC and spoken word activist Potent Whisper. Both Gideon Coe and Chris Hawkins have played it on BBC 6 Music. UK poet and radio presenter Mr Gee provides the words for ‘Living on a Knife’s Edge’, a painfully relevant piece on knife crime that has already featured on Radio X. With ‘Stand Up’ Fold introduce an up-and-coming Leeds poet called Natalie Davies reading her own work and singing backing vocals. Having never recorded in a studio before she was particularly moved when Huey Morgan premiered the track on 6 Music. Two more firsts are the collaborations with Komla MC – a Ghanaian expat here in the north of England – as well as up-and-coming MC / beatboxing champion MotorMouF from Nottingham. Alongside the contemporary voices are a mixture of speech & singing samples from Malcolm X, Bessie Jones, Dorothy Dandridge, James Baldwin, Lorraine Hansberry, Alice Walker, Marge Piercy, bell hooks, Sweet Honey in the Rock and Margaret Walker. Sometimes the dead dance with the living on this record and it is haunting because what they are all saying is so closely aligned despite the intervening decades. Fold had the good fortune of recruiting some of Leeds’ finest musicians including rising star Emma Johnson with her killer horn arrangements and superb saxmanship; the well-loved Kieran O’Malley on violin; cameos from accomplished keys player Jake Mehew and an appearance from expat scratch DJ Mista Ed.